Mark Hominick announced that he’s retiring from the sport to move on to phase two of his life. Pablo Garza desperately needed a big performance at UFC 154 after back-to-back losses in the octagon, and he delivered, showing off a well-rounded attack as he battered Mark Hominick over three rounds en route to a unanimous decision victory. 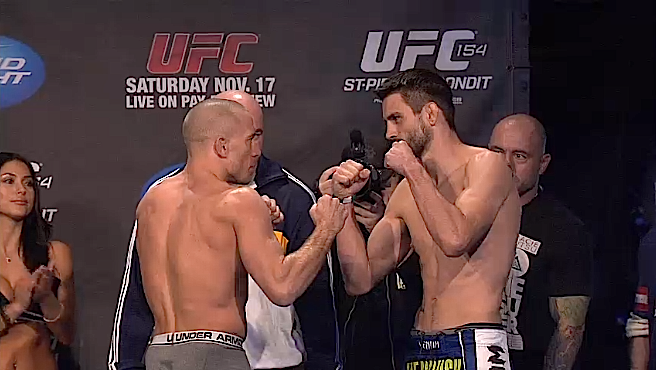 Fighter weigh-ins for UFC 154 take place this afternoon at New City Gas in Montreal. ProMMAnow.com will provide live results, as well as a live video stream of the weigh-ins starting at 4 p.m. ET. The ProMMAnow.com staff have stared into their crystal balls and given obeisance unto the oracles of prognostication to bring to you the very best in knowledge and prediction surrounding Saturday’s UFC 154 card. 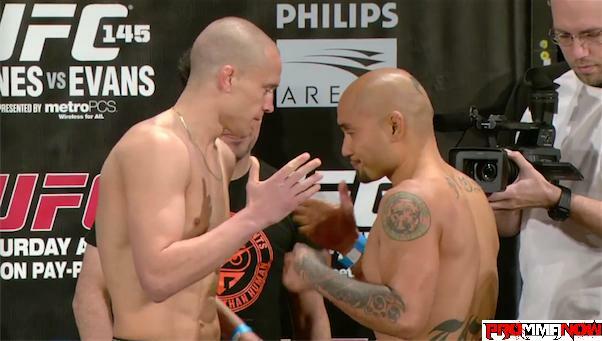 We preview the UFC 154 featherweight fight between Mark Hominick and Pablo Garza. The UFC 145 weigh-ins took place today at Fox Theatre in Atlanta, Ga. Only lightweight fighter John Makdessi failed to make weight, coming in at 158, two pounds over his contracted lightweight non-title fight limit of 156 pounds. 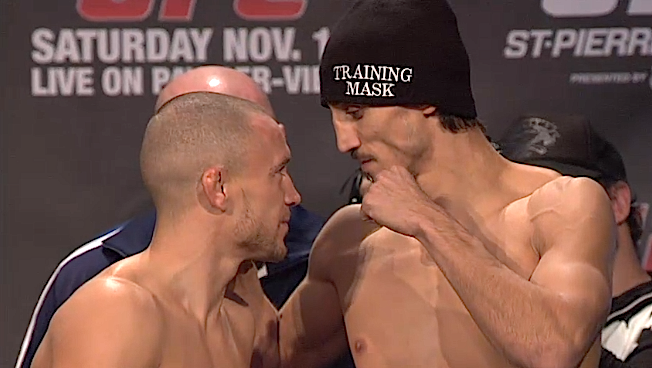 We preview the UFC 145 featherweight bout between Mark Hominick and Eddie Yagin that’s set for Atlanta, Georgia. 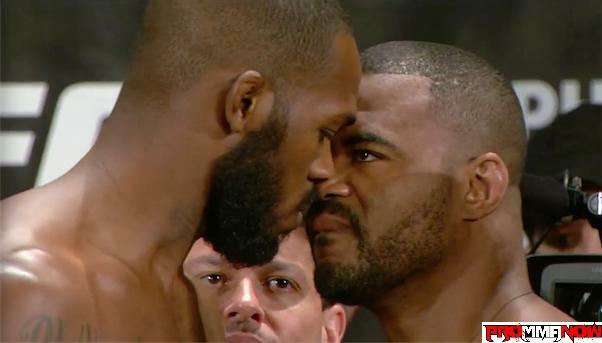 The UFC has announced two additional fights for the UFC 145 event that will take place March 24 in Montreal. 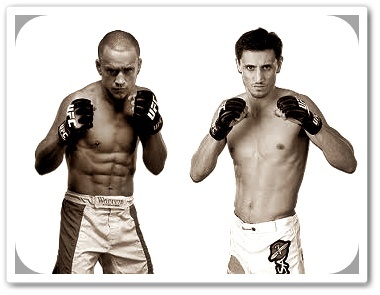 Mark Hominick will face Eddie Yagin and Matt Wiman will face Mark Bocek. 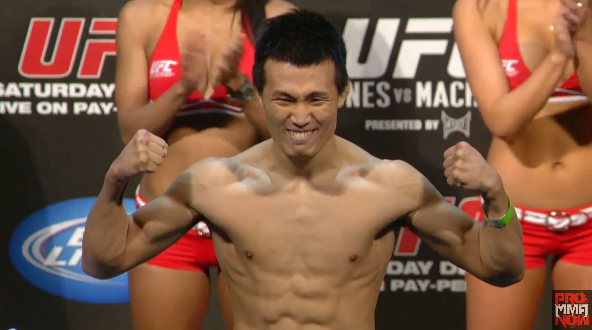 “The Korean Zombie” claims another victim, knocking out Mark Hominick in just seven seconds at UFC 140.